2009 was a wild ride. Barack Obama was just inaugurated as the President of the United States, Ke$ha released 'Tik Tok', Fergie and Josh Duhamel got married and Michael Jackson unexpectedly died. 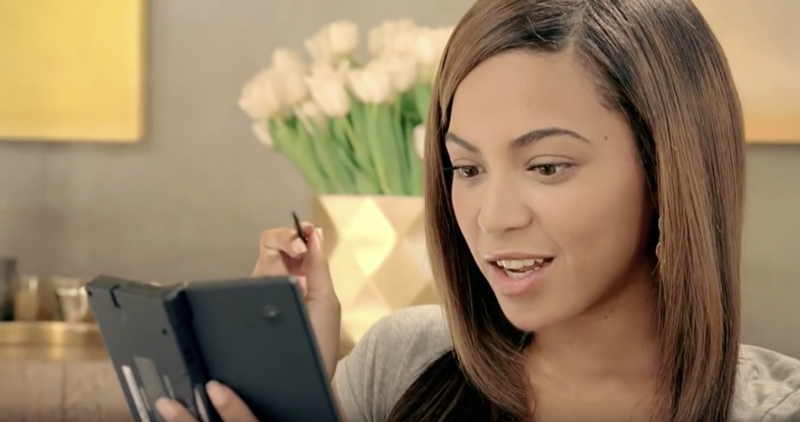 More importantly, Beyoncé convinced us all that we needed to buy a Nintendo DS along with a little game called Rhythm Heaven. It was a standard game, one that required touch screen and a horizontal Nintendo positioning so the player could use the stylus to tap, flick and drag across the screen to work their way through several rhythm-based levels to complete the game. 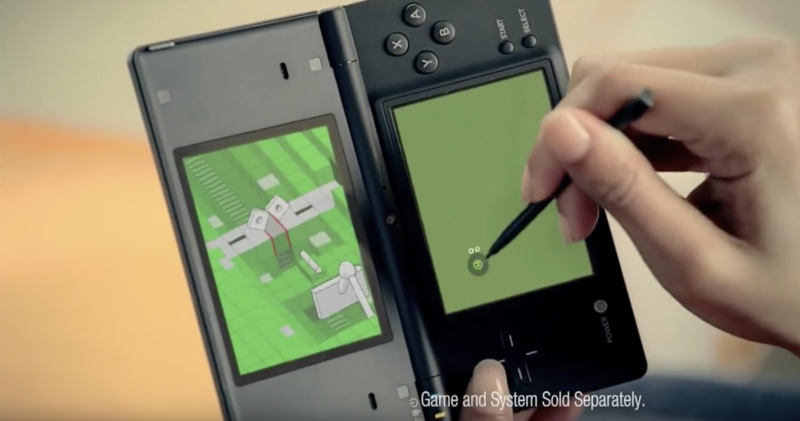 Beyoncé put Rhythm Heaven and Nintendo DS on the map. Rumour suggests that before her involvement, their total sales were at zero. After Beyoncé played with one on telly, their sales jumped from zero to slightly more than zero. 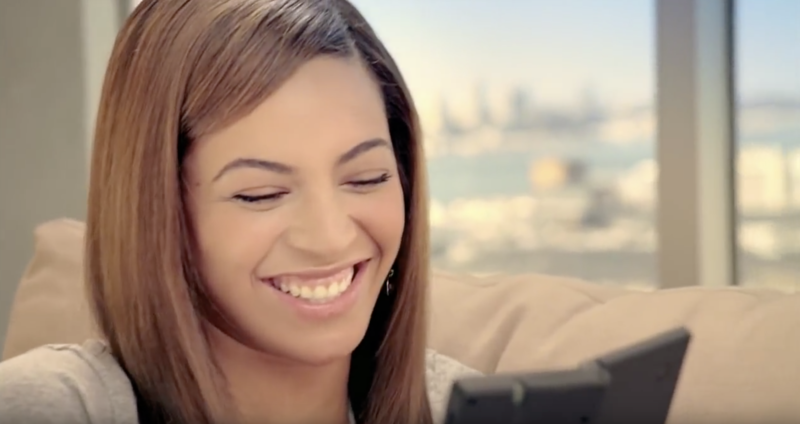 The advert starts with a typical scene for a 27-year-old Beyoncé. She's perched upon two cushions atop her chaise end corner sofa, playing her Nintendo DS console (held vertically). In the blatantly green-screened windows behind lies a nonspecific city at sunset. Thousands of commuters are rushing around, leaving their minimum wage jobs to get home for the evening. They'll probably spend the night watching Glee, Mad Men or Scrubs. Little do they know that just a few miles away, Beyoncé Knowles is creating an advertisement that would later rock their worlds. Beyoncé is dressed in casual attire, just a t-shirt, jeans and socks with a full face of makeup and a salon-finished hairstyle. Behind her rests a chodey vase with, at a guess, 4,000 white tulips beside a tray with multiple glasses of varying colours and sizes. 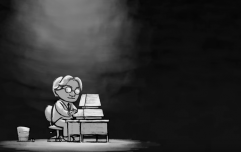 This is what everyone looks like when they are settling down to play Rhythm Heaven on their Nintendo DS. You must exclusively play it at sunset. If you're playing your Nintendo at any time of the day other than the evening, you are a pathetic loser with no life. As far as gamers go, Beyoncé is visibly quite an experienced one. From her whole gaming setup to the way she holds her Nintendo DS, the singer's process screams of professionalism. For example, she's holding the stylus with such strength and precision, the gaming experience is guaranteed to be a resounding success. 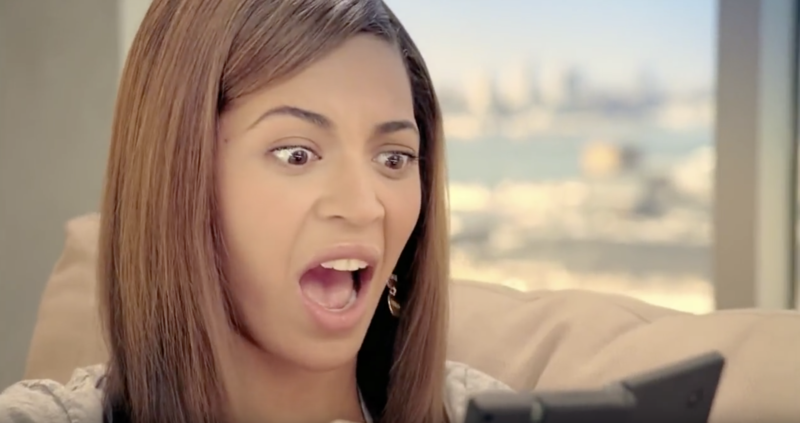 Beyoncé applies the correct amount of pressure onto the screen, whilst keeping her knuckles out of the way to prevent any secondary taps on the device. She's positioned her left hand in a questionable position, however. She's opted to hold the device on the right side, as opposed to the centre spine. This is likely to find a dependable centre of gravity given that that's the side where the battery resides and therefore the heavier of the two. Sure, her finger is pressing the upward arrow key potentially compromising her chances of success at the game, but her experience as a Rhythm Heaven player means that she knows it won't harm the gameplay in any way. Look at how engaging this game is to Beyoncé. In 2009, she had just released her third studio album 'I Am... Sasha Fierce' and multiple Grammy awards were ahead of her. The album debuted at number one in the US Billboard 200 chart, it earned over 30 platinum and one diamond certification worldwide. The success was everything she deserved, but she remained humble and focused on her main interest: gaming. 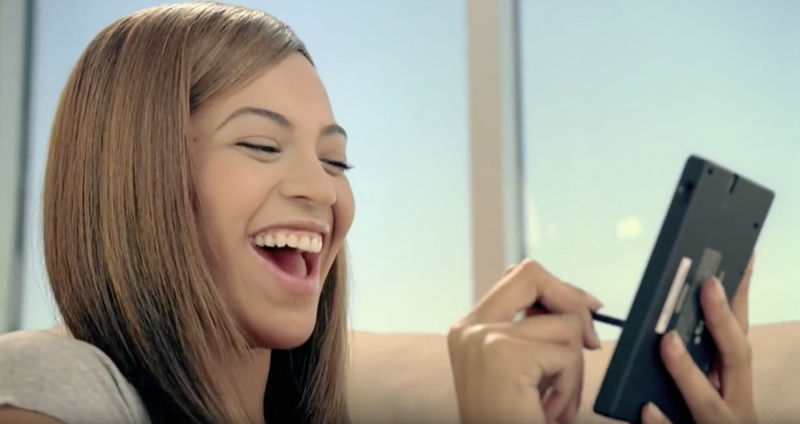 Beyoncé, despite her dizzying level of fame at the time, still found the time to settle in for a game of Rhythm Heaven on the Nintendo DS one evening. This is a woman who had recently performed at the First Couple Barack and Michelle Obama's first inaugural ball. The world was at her fingertips, but hers remained firmly on a vertical games console during her leisure time. Precisely halfway through the advertisement, Beyoncé's composure is momentarily lost. She's entertained. Beyoncé is finding joy in a video game. One that combines rhythm with dexterity. If anyone should thrive at this game, it is Beyoncé. When you think about the world famous singer on a random evening in 2009, do you picture her laughing hysterically at the intricacies of a Nintendo DS game, or do you picture her at a high profile party with such famous guests as Fred Durst, Linda Barker and the Obamas? For me, it was always the latter. But this advertisement has proven that preconceived notions are cancelled. Beyoncé plays video games in her spare time, and what's more, she is quite amused by them. In what has to be the quickest emotional turnover in advertising history, Beyoncé goes from elation to consternation in a matter of seconds. The game's difficultly is displeasing her. Beyoncé was cruising through Rhythm Heaven on the Nintendo DS mere moments ago, but now she has reached a particularly tricky element of the game. Rhythm Heaven doesn't discriminate or make allowances for celebrities, it treats all players exactly the same. 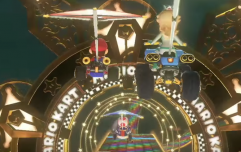 You will not be fast-tracked through a difficult level due to status or bank balance, you must successfully pass all challenges and elements of the game because that is how it works. Even for Beyoncé 'Queen B' Knowles. After navigating her way through the trickier aspects of the game, Beyoncé returns to a happier disposition as the advertisement comes to a close. She has been on quite a journey over the course of the last thirty seconds, but most graciously, she has brought us with her. Celebrities are just like you and I. They sit in their billion dollar apartments and flog Nintendo DS games for an absurd amount of money, just like you and I. They are susceptible to the highs and lows that come with any video gaming experience, just like you and I. They just want to find ways to kill time until the sweet release of death arrives to deliver our impending mortality, just like you and I. Was this even an advertisement? What was Beyoncé trying to sell us? I, for one, cannot remember. I have just spent thirty glorious seconds in the company of greatness. Beyoncé likes to have a good time, as do I. If only there was some way I could feel a stronger connection to 2009 Beyoncé Knowles. Or even find a way to distract myself from the disappointing shambles that is my life. Perhaps I shall purchase an entertainment device and a specific game that has just been marketed at me, should one exist. Yes. I will buy a Nintendo DS along with the popular game Rhythm Heaven. Then and only then shall I truly feel free. Remember the time Girls Aloud convinced us all to buy a Nintendo DS? Read about it here. QUIZ: Can you guess the N64 game from the screenshot?